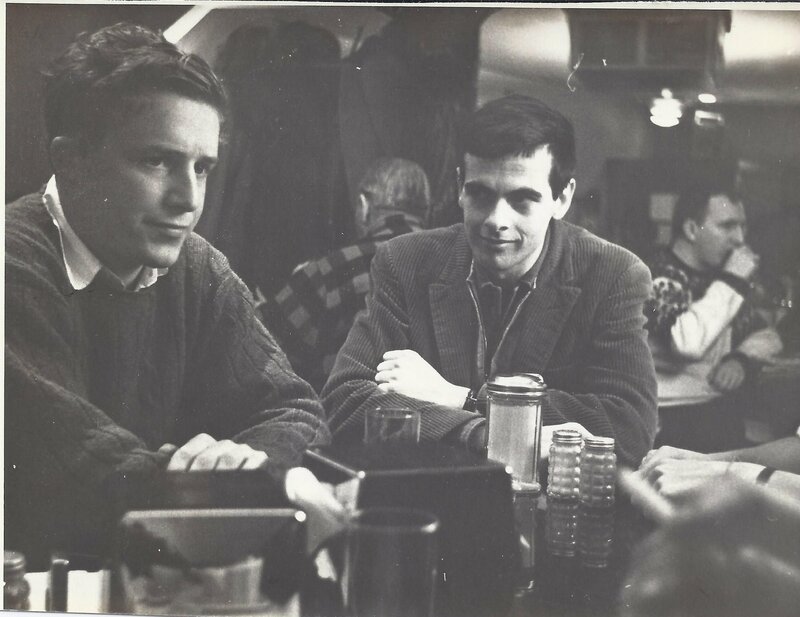 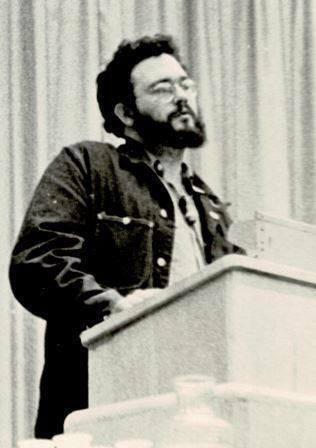 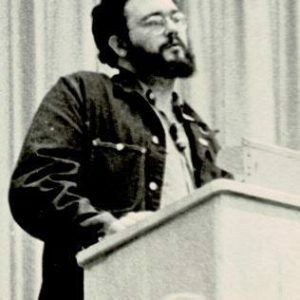 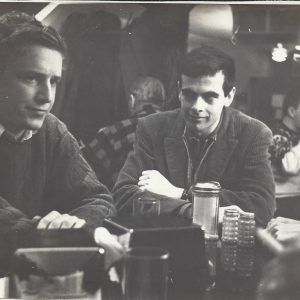 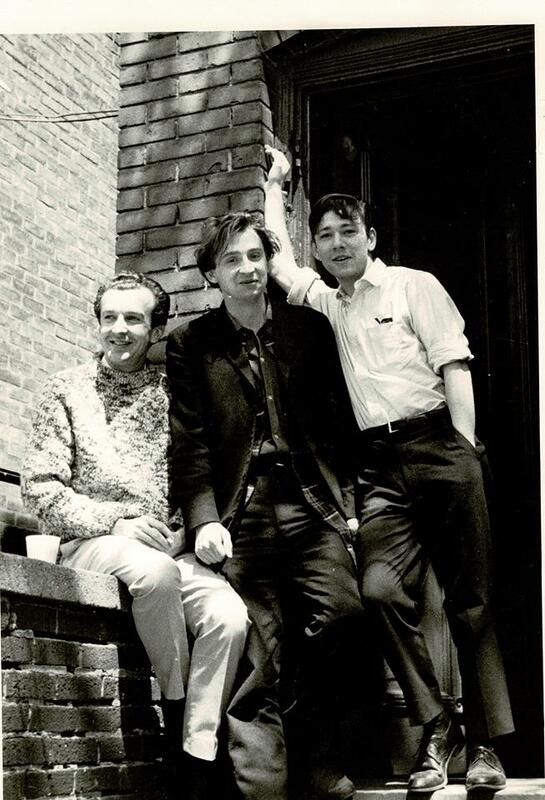 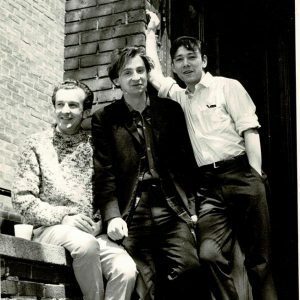 John Wieners, John Temple & Robert Hogg at Detroit Artist’s Workshop, Summer 1967. 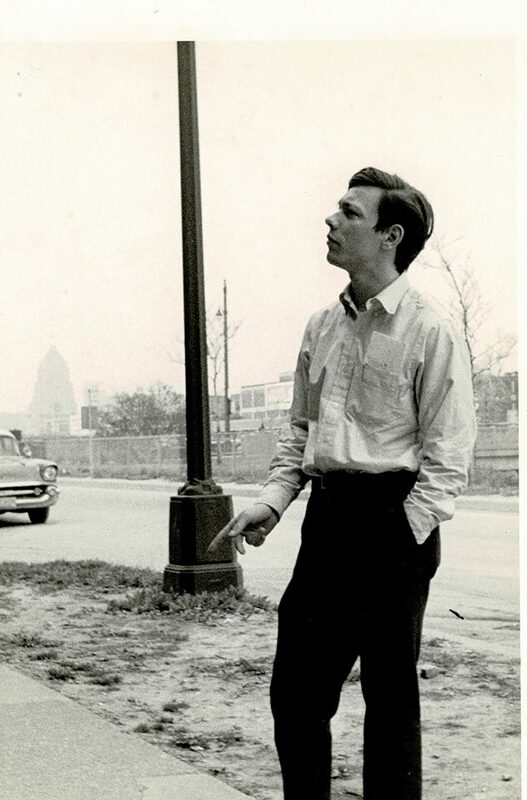 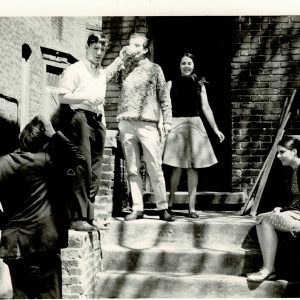 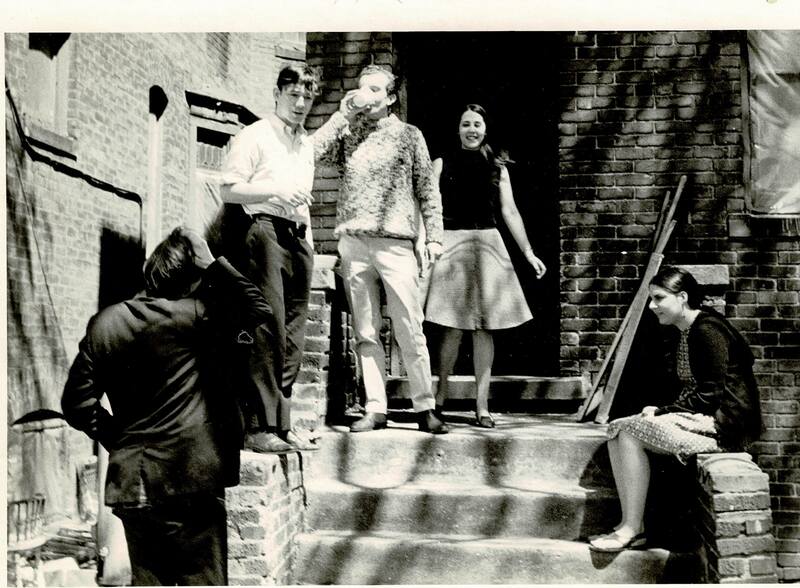 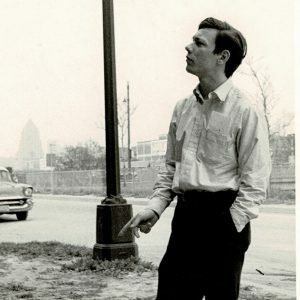 Poets from Buffalo in Detroit: John Temple, Bob Hogg, John Wieners, & Frances (Kitty) Katz, outside John Sinclair’s house. 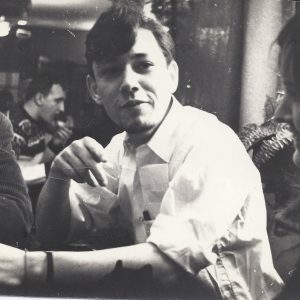 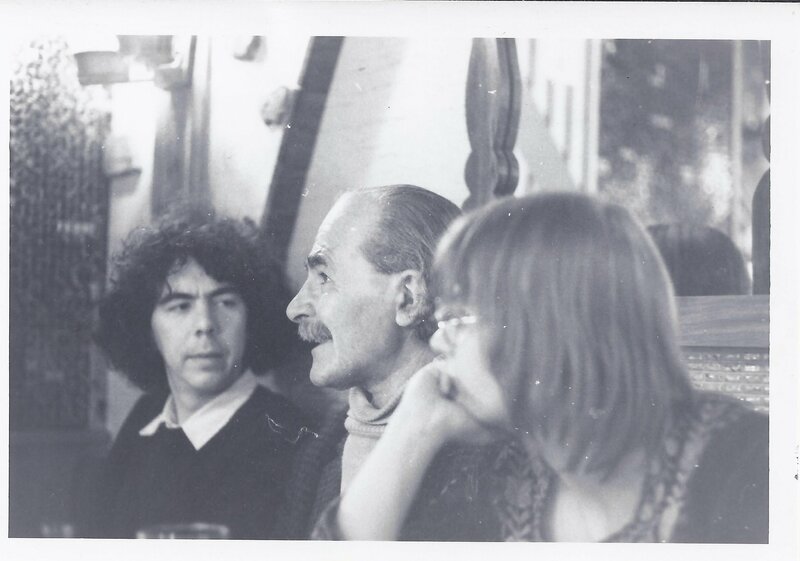 Basil Bunting at Al’s Steak House in Ottawa, April 1971 — with Neil (Whiteman) Flowers and A;lison Etter. 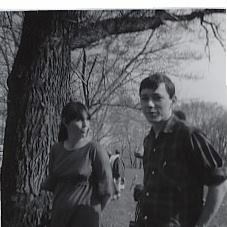 In mirror with camera, Bob Hogg, & Leslie Hogg. 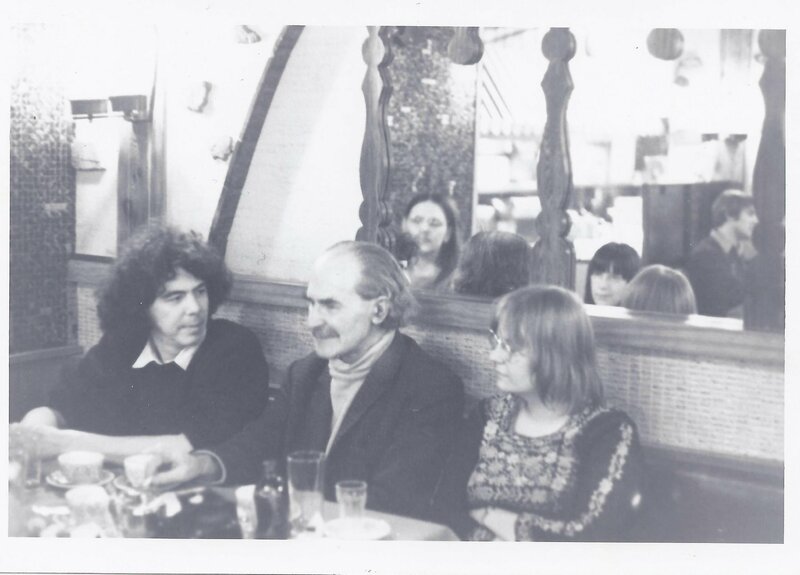 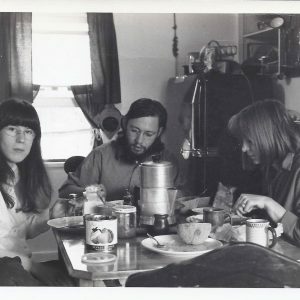 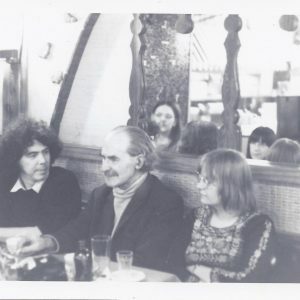 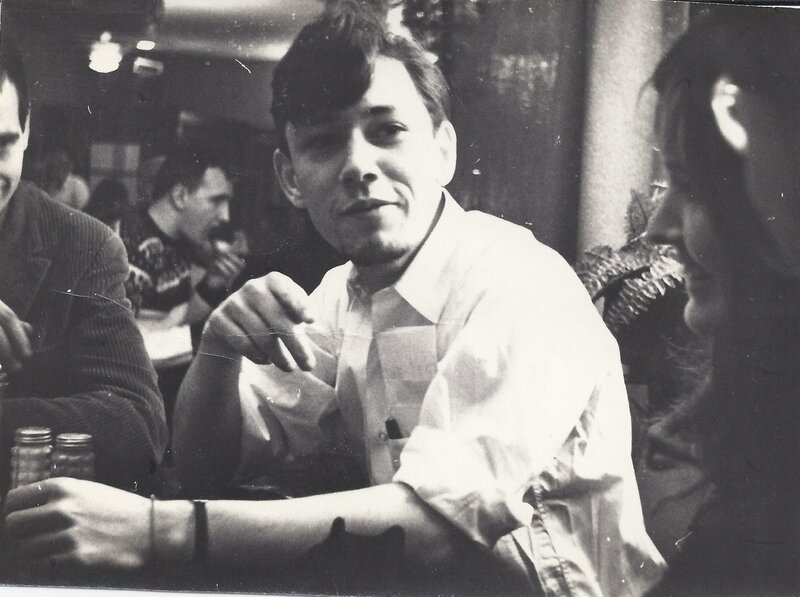 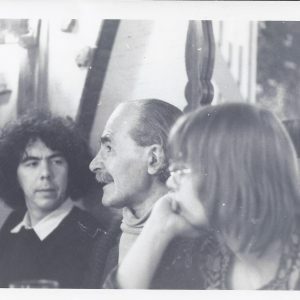 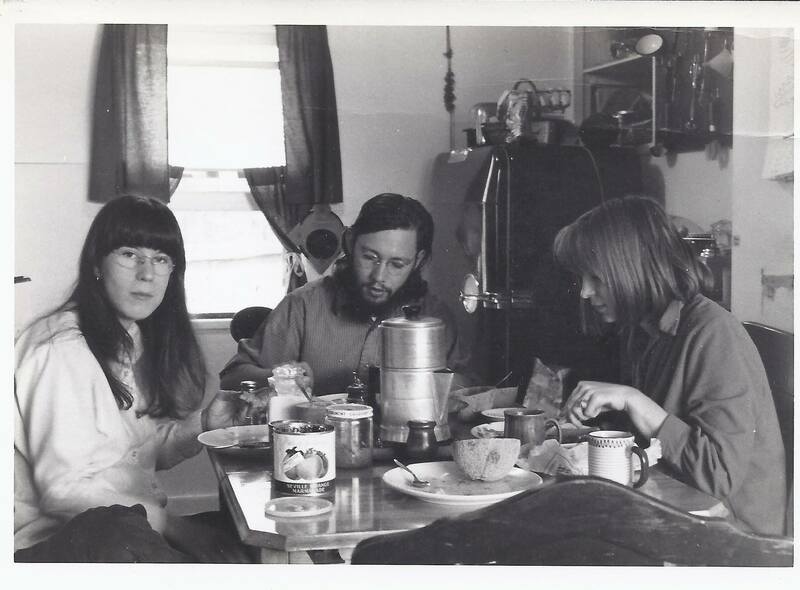 Leslie & Bob Hogg with Angela Bowering, Ottawa, 1970.